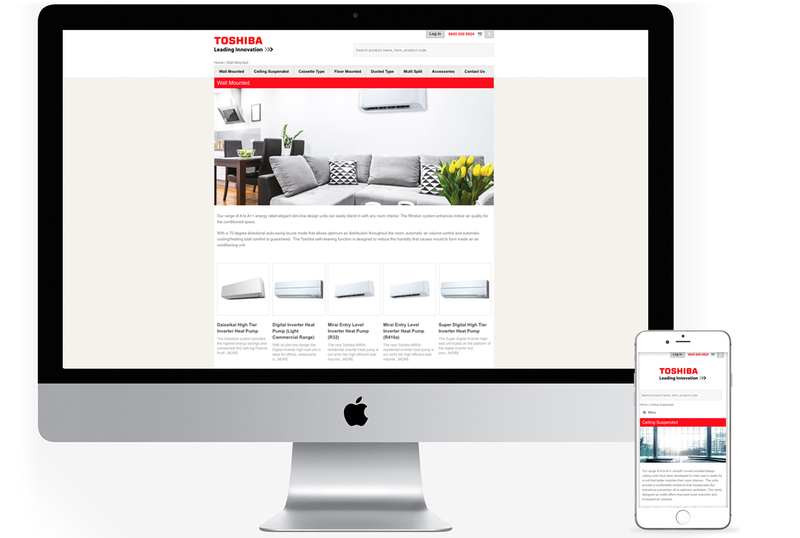 Progression are working with Toshiba on a number of new websites for their air conditioning arm. One site being that of a consumer-facing, e-commerce site aimed at the end user. We worked closely with the Toshiba team to rework the user journey, menu and sales process. The resulting site employs a clean, straightforward design that gives the user a clear journey from choosing the right unit, through to purchase and payment. The payment gateway also benefits from having a two-stage, two-process system, allowing Toshiba to take payment without holding payee details on their servers, and thus avoiding any data protection worries. 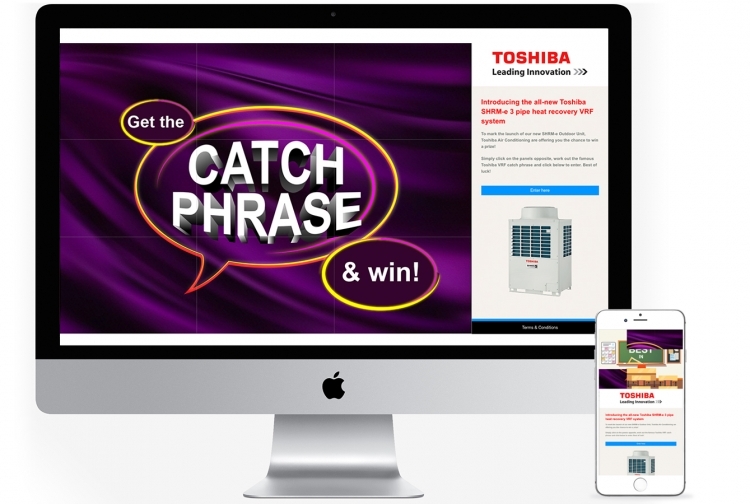 Toshiba approached Progression Design to create a unique, catchphrase inspired website to highlight and promote the launch of their new air-conditioning unit. The website has been designed to look similar to the television show; whereby the viewer rolls-over squares before clicking to reveal a section of the catchphrase illustration. At the same time as the squares are revealed a USP of the product is also shown. Eventually the viewer reveals the catchphrase and then has the chance to enter a prize draw to win one of the new units. By entering the prize draw the website also acts as a data capture and allow for future marketing opportunities. The complete design, bespoke build and 2 part email campaign to direct clients to the website was handled by Progression Design.